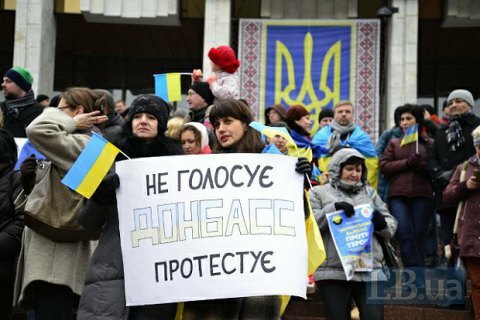 The Central Electoral Commission of Ukraine has said that the 11 November elections in occupied Donbas are illegitimate because they were held at variance with the Constitution and election law of Ukraine as well as international regulations. "Accordingly, these 'elections' do not have any legitimate results, thus no legal consequences," the Central Electoral Commission said. "The Commission says that holding elections in full compliance with the Ukrainian legislation and OSCE standards under international observance is the only guarantee of an election process producing legal results," it said. The self-proclaimed Donetsk and Luhansk people's republics elected their leaders and legislatures on 9-11 November. Russia said it would recognised these elections.